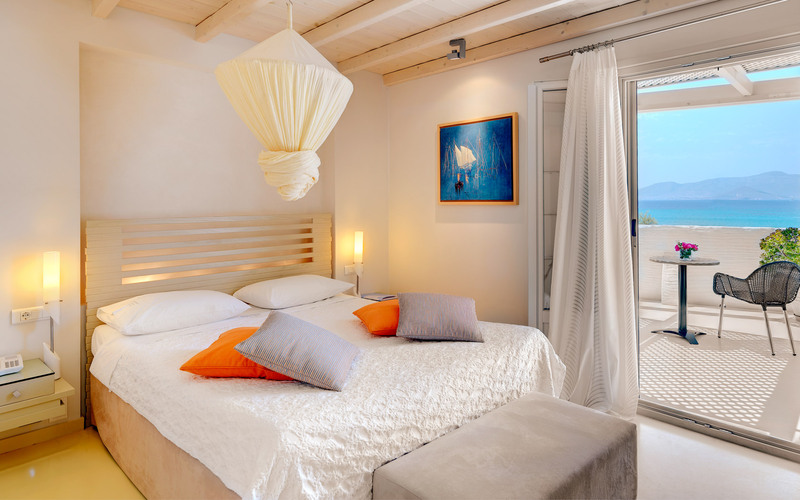 The hotel is built according to the traditional Cycladic architectural style and is situated next to Agia Anna Beach, one of the most beautiful and popular beaches in Naxos. Guests of the Iria Beach Hotel in Naxos consider it one of the most charming Naxos Hotels. 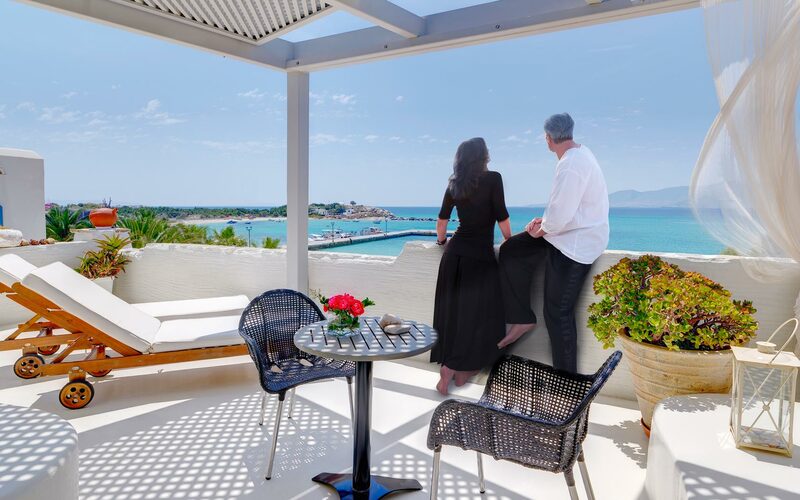 The Iria Beach Hotel in Naxos (Agia Anna beach) has recently been fully-renovated to include a plethora of comfort facilities and luxury accommodation units, making it one of the most lavish and finest Naxos hotels. Our hotel in Naxos is comprised of 25 comfortable and fully furnished rooms and suites (superior suites, deluxe suites, sublime rooms, and Naxos honeymoon suites). 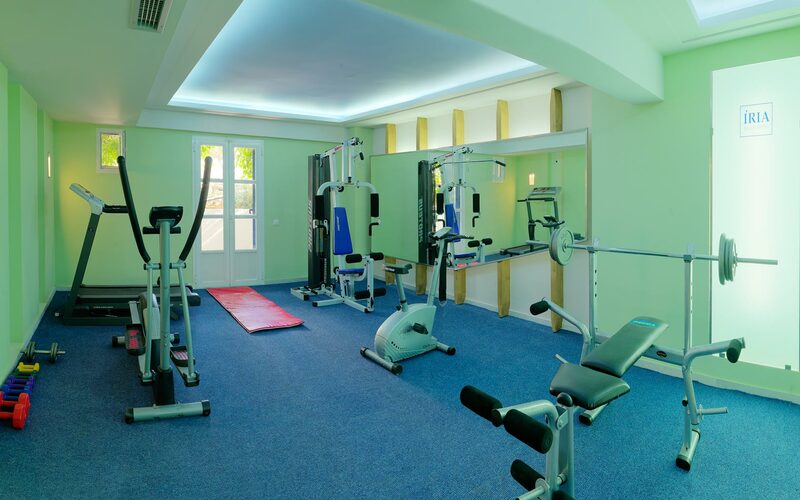 It provides a wonderful selection of services and genuine Naxos Island hospitality, guaranteeing guests a relaxing stay and stylish hotel accommodation in Naxos Greece. The Iria Beach Art Hotel Naxos Rooms & Suites in Agia Anna belongs to the 4-star **** category of Naxos hotels and operates May to October.